LeEco Le 2 was launched in April 2016, and it comes with a 5.5-inch display, 4G connectivity, and a 3000 mAh battery. 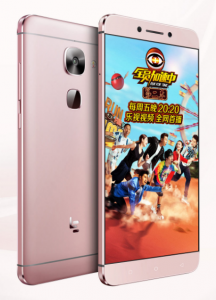 The LeEco Le 2 has a 5.5-inch display with 1080p resolution, and it is powered by the Deca-core processor from MediaTek, named the Helio X20. There is a Mali-T880 MP4 GPU with 700 MHz frequency supporting it, and 3GB of RAM is for the multitasking. The OS that Le 2 runs is Android 6.0 Marshmallow based EUI interface, and the phone has 32GB internal storage. The camera combination included in the phone is a 16-megapixel rear camera and an 8-megapixel front-facing camera. The Le 2 has a USB Type-C port just like its predecessor Le 1s, and there is support for fast charging. The phone also has a fingerprint scanner on the back, just below the camera and it is the mirror-glass fingerprint sensor. Check below for the specifications of the phone and best buy price. Indian variant has Qualcomm Snapdragon 652 octa-core processor. 4G FDD-LTE B1 / 3 / 7, TDD-LTE Band 38/39/40/41. The LeEco Le 2 has an octa-core processor powering the device and there is CDLA standard for audio output. The phone with metal body has a good 3GB RAM for multitasking and there is a 16MP + 8MP camera combination.